Many of us will be taking our pets away with us this summer, which will mean travelling with them in the car. As you meander along the country roads and fly down the motorways, you can keep your pet nice and cool by winding down the windows or switching on the aircon. 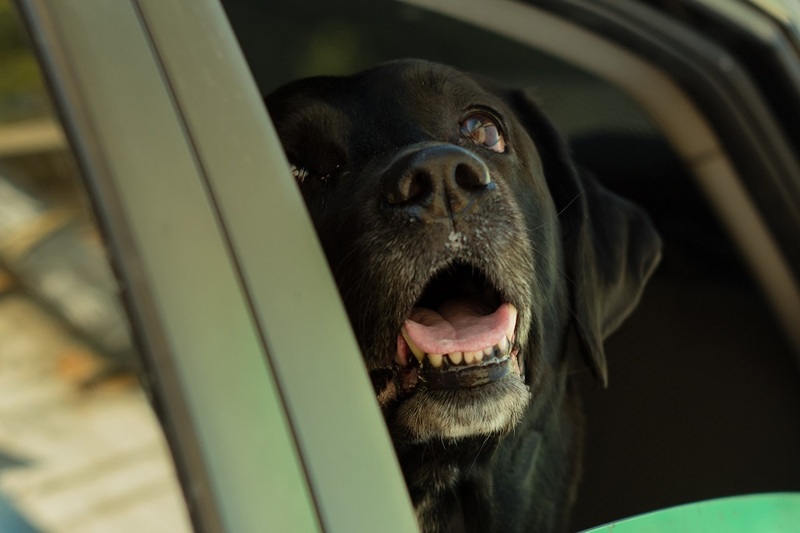 Your dog may even indulge in a spot of breeze surfing by popping their head out the window! On the way, you may need to stop for a break or grab a bite to eat. It can be tempting to leave your dog in the car… after all, you won’t be gone for long. However, this can be a fatal mistake. Leaving your dog in a car on a warm day is akin to leaving them in a greenhouse! During the summertime, the temperatures in your car can soar, quickly transforming it into an oven. Your dog, who is trapped inside, will begin to overheat rapidly, desperately panting as they struggle to cool down. They may finally develop heatstroke or even die. This can all happen in just a short space of time and on a hot day it can take just a few minutes for your car to become dangerously hot. Even if you park in the shade and leave the windows wound down, your pet will still be at risk of heatstroke. It can be just 22 degrees outside but inside your car, it can reach a staggering 47°C1. So, even on days where it doesn’t feel that warm outside, it’s still not safe to leave your dog in the car. A similar situation can arise in motorhomes, caravans and conservatories, as these can quickly heat up to oven-worthy temperatures too. So never leave your pet in these vehicles on a warm day either. How do I know if my dog has heatstroke? Firstly, start to cool your pet down using cool (not cold) water and by placing cool wet towels over their belly, neck and paws. Move your pet out of the car immediately and into a cool shady area and seek veterinary attention ASAP! This summer keep your pet safe by only taking them on car journeys when it is unavoidable. If you are just popping to the shops or going to the supermarket or any other non-pet friendly places, the safest thing to do is leave your pet at home.